Caught Up is a Paul Mann Custom 60 for a customer who prizes performance and comfort under way, and the beauty of the handcrafted interior. A pair of 1,550-hp MAN 12-cylinder diesels linked to traditional drives through ZF gearboxes gets this rocketship where the owner wants to go at a top speed of 42 knots turning 2,350 rpm. At that speed, she’s burning 156 gph and has a range just shy of 400 nautical miles. 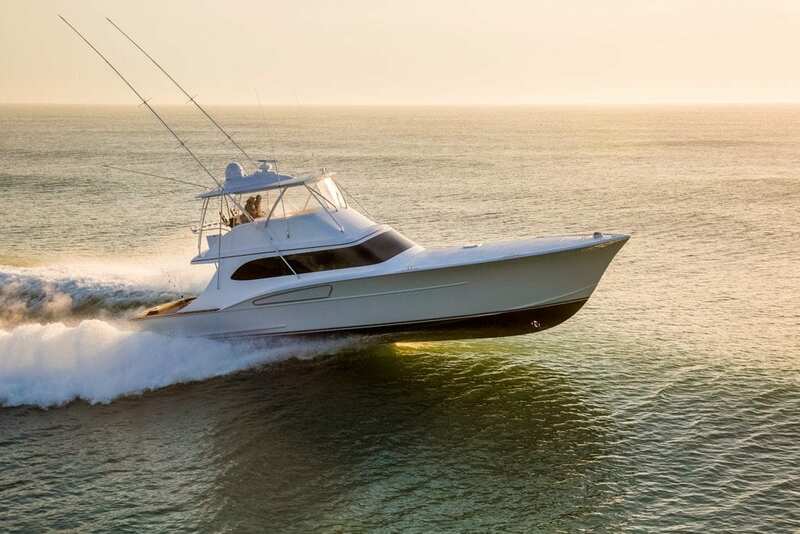 If the owner pulls the throttles back to 1,950 rpm for a high cruise speed of 35.7 knots, consumption drops to 106 gph and range increases to 500 nautical miles. This sleek, cold-molded hull (LOA 60′; Beam 18′; Draft 5′; Displ. 73,000 lbs.) has two dedicated staterooms, with the master forward and the guest to starboard.